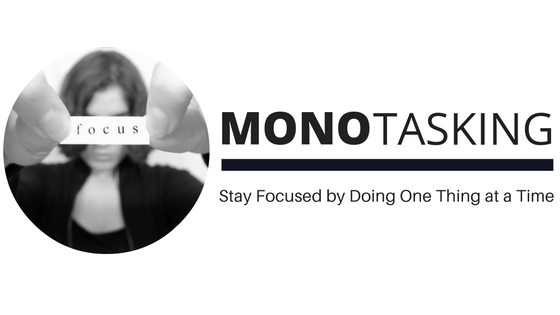 Here are three easy ways to help your sales reps increase revenue using monotasking. Allow your sales staff to focus on closing business! – Outsource the lead generation and cold calling to a different specialized sales team. Most seasoned sales reps find cold calling and lead generation stressful and boring and it takes away from time they could be nurturing warm business and preparing proposals. Did you know, that your average sales rep has an attention span of 8.25 seconds that is .75 seconds LESS than a gold fish whose average attention span is only 9 seconds! Did you know that stress and decision overload are two reasons that would cause a drop of attention span? According to a recent study conducted by Static Brain, stress and decision overload cause 35% of lost attention spans. Hiring a business development staff that specializes in cold calling and lead generation will free up time for your sales reps and allow the specialists to get qualified leads in front of your sales staff. Breaking the role into two distinct categories encourages single-tasking for both your lead gen reps and your sales reps.
Have your sales staff turn off notifications! – We want your sales staff to be proactive, not reactive. YES, we said it. We know we live in a world with instant access to everything we could ever need. Have your sales staff schedule specific times of the day that they check email, voicemail, texts, Facebook, Twitter, and LinkedIn so they can keep their focus on the task at hand. Let your sales staff schedule their planning time! – Let's face it sales people are driven by money and the only way they make it - is to sell. Allow them to plan their day around their optimal rhythm. For example, some sales reps work best planning their activities early in the day and others late into the day. Allow them to plan their high-value tasks during the best time for them and you will have a happier sales person and commensurately more business. Implementing just one of the three single-tasking methods will result in a more productive sales staff. Your sales team will feel less pressure, less stress and will be able to keep their eye on the end result; increasing business for your company. OnBrand24 lead generation specialists are focused on lead generation with minimal distractions while making outbound calls. OnBrand24 only charges you for the time our reps are calling on your behalf. That means if our reps need a moment away from prospecting on your behalf you aren’t paying for this time….OnBrand24 allows our agents to have a flexible schedule so that they can perform at their personal best.